Home > Staff > Heather Rustigian-Romsos, M.A., M.S. Heather joined CBI in August 2003. 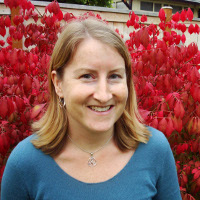 She is a landscape ecologist/GIS specialist whose work has focused on predicting effects of land management and landscape change on vertebrates with spatially explicit habitat, population, and connectivity models. She has over 10 years of experience in applied ecological GIS analysis and modeling. Heather graduated from Middlebury College with a B.A. in environmental studies, and received master’s degrees in biology from William Paterson University and geography from Oregon State University. Her recent work at CBI has focused on the conservation of fishers, martens, and other carnivores in the Sierra Nevada.